Portfolio mortgages can simplify finances for landlords, as that’s what they’re primarily designed for. With recent news regarding tax and stamp duty laws, landlords are forever looking at methods to increase their investment income. Further changes in 2020 will lower the amount of tax relief a landlord can claim. Rather than using the interest on the loan to offset as an expense, landlords will no longer be able to do this at the same rate. By 2020, changes in corporation tax will also decrease to 17% for annual profits up to £300,000. As a result, more landlords are considering placing their portfolios under limited companies and moving to a single portfolio mortgage. For landlords with multiple properties, or landlords aiming to grow their portfolios, a portfolio mortgage could be something to consider. Placing an entire portfolio under one mortgage can be beneficial, especially with a large number of properties. Lenders will usually approve portfolio mortgages to landlords with at least four buy to let properties or a minimum value of the portfolio (around £500,000 minimum). Portfolio mortgages can also be obtained for apartment blocks and larger portfolios. Accountants would usually recommend a landlord to have at least 6-7 properties for a portfolio mortgage to be viable. 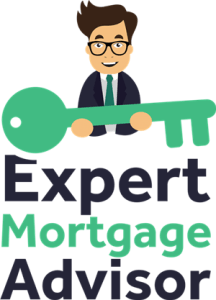 A portfolio mortgage allows landlords to place all of their buy to let mortgages under one mortgage. A portfolio mortgage is treated as a single account. Rather than having separate lenders for each property, the entire portfolio is undertaken by one lender, hence one monthly payment. The portfolio is registered as a limited company and finances and expenditures are treated exactly the same as any other business model. A property portfolio is a term used for when a landlord has at least four properties. Technically, a portfolio could consist of two properties, but from a lenders perspective, they would usually class four properties to be the bare minimum for a portfolio. If a landlord had ten properties on separate mortgages, then there would be ten monthly outgoings to multiple lenders. A portfolio mortgage would allow a landlord to solely focus on a single mortgage payment each month to a single lender. One monthly mortgage payment is perhaps easier to manage in comparison to multiple mortgage payments across the month. Lenders introduced portfolio mortgages to allow landlords to manage their buy to let finances with greater clarity. Rather than having multiple mortgage statements, portfolio mortgages allow for one monthly statement and one payment, simple. Landlords with portfolios don’t have to have a portfolio mortgage and it is entirely optional. Buying new properties under a limited company will tend to have higher rates when compared to purchasing a buy to let using traditional methods. This is because lenders take on more risk as they’re lending to a limited company. If a limited company goes bust, lenders may find it difficult to retrieve any debts. That being said, as more landlords are using limited companies to purchase properties, lender fees are becoming more competitive. Read more about mortgages for limited companies. Portfolio mortgage rates are calculated on existing rates across the portfolio. If a landlord has ten properties for instance, each property will have its own mortgage rate. A portfolio mortgage will incorporate each mortgage rate into one single rate. As a result, the rate of a portfolio mortgage will generally be the average of mortgage rates across the portfolio. Lenders often require portfolios to be valued at £500,000 minimum. The rental income generated will also need to be around 120%-140% of the loan repayments. Other lenders may consider landlords with at least four properties. All mortgages types will usually have positives and negatives. It’s difficult to explain whether or not a certain mortgage type will be advantageous to an individual without understanding their personal circumstances. 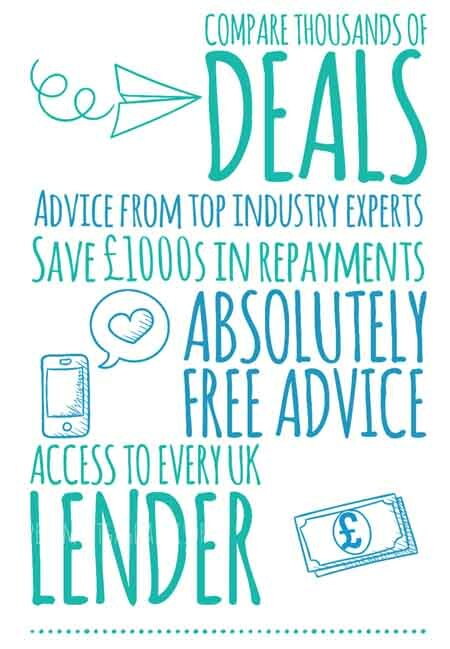 That being said, portfolio mortgages can offer a range of advantages which are outlined below. A portfolio mortgage can allow a landlord to become more tax efficient. This is because of the tax changes discussed above. Funds withdrawn from the portfolio will soon be taxed as a whole, rather than paying tax solely on net income. If a landlord retains funds in the portfolio, funds can then be used to renovate or even purchase additional properties. By doing this, landlords will pay the lower rate of corporation tax as outgoings will be classed as expenses. Rather than having multiple lenders, a portfolio mortgage allows landlords to have a single lender. A single lender across a portfolio can simplify finances in many ways, as they’ll only be one monthly payment. Equity in the portfolio can be utilised to increase the portfolio further. If for instance the portfolio was valued at £1 million and the outstanding mortgage balance was £600,000, the portfolio would have £400,000 in equity. Landlords can borrow against the equity usually on the loan to value across the entire portfolio. Based on the above example, if the portfolio had a 20-25% LTV ratio, a lender may offer a credit facility of up to £150,000 – £200,000. The additional funds could be used to buy more property and generate further income. As the portfolio increases, the credit facility should also increase (if done correctly!). Using the equity in a portfolio to fund additional property purchases can often result in buying a property with little or no deposit! Under-performing properties in a portfolio can sometimes be a warning light for lenders, especially when requesting further finance. For instance, there may be properties in the portfolio which aren’t generating as much profit as others. Lenders may envisage under-performing properties as liabilities. If the entire portfolio is under one mortgage, well-performing properties can compensate for poor rentals. This is because lenders will simply assess income and expenditure as a whole, rather than a case by case basis. This allows portfolio landlords to spread the income over their entire portfolio and in many cases can increase the maximum amount they can borrow. This is perhaps a rare time where keeping all your eggs in one basket is a good idea! There aren’t any major disadvantages as such, however it depends on how your own individual finances are structured. Using a mortgage to fund a purchase of a property is always a risk, in the case that mortgage payments can’t be met. Buy to let property is no different, as investment typically has an element of risk involved. Growing a portfolio increases further risk, as there’s simply more properties involved. In the very rare case that every single boiler needed replacing in each property for instance, this would create a large outgoing for that particular month. As portfolio mortgages operate under a single account, you wouldn’t be able to defer payments to different dates. The entirety of your portfolio payments will need to be paid all at once. This can be a disadvantage if your finances aren’t in great shape. If you’ve got savings tucked away for a rainy day (which we advise everyone should aim to have! ), then you can minimise your exposure to situations such as these. There are also possibilities for property values and rental prices to decrease, so always be prepared for worst-case scenarios. Lenders that do offer portfolio mortgages will require landlords to have their portfolio under a limited company. Migrating properties into a limited company can be expensive. Operating a limited company does come with increased administrative duties for which they’ll be a cost. You’ll more than likely need a professional accountant for instance. Although there are tax benefits to having a portfolio in a limited company, selling a property from a limited company is subject to corporation and capital gains tax. If you require a portfolio mortgage, seek advice from a specialist commercial broker. A portfolio mortgage is a ‘niche’ commercial mortgage and will therefore require specialist advice. With whole of market access, our experienced specialists can tailor information suited to your own circumstances. A property empire isn’t built overnight and usually takes careful planning. The same can be said for portfolio mortgages. Don’t rush into making any decision before speaking to a specialist.